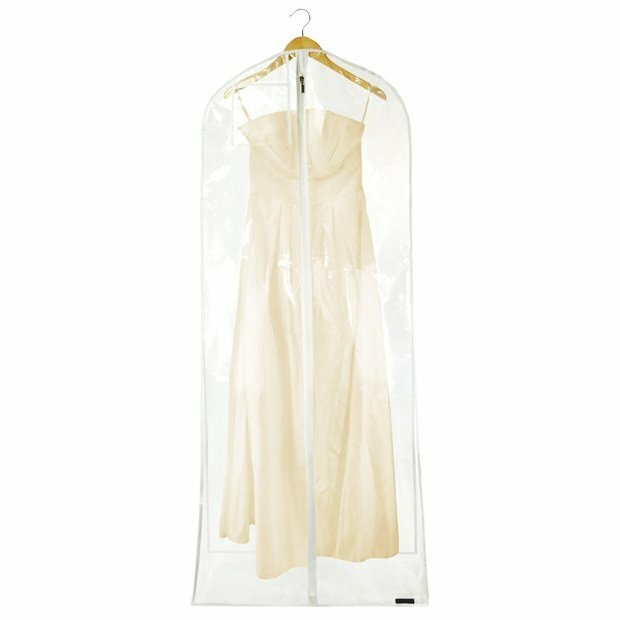 Clear PEVA dress cover - extra wide - with full length gusset - wedding dress / ball gown covers. Ideal for transporting & storing full length and bulky dresses. Made from acid free quality 0.10mm peva. All around 10 inch gusset to avoid crushing trains, petticoats etc. Double stitched piping and zip trim. Large, clear identity pouch. Quality full length zip, shaped shoulders, top hole for hanger hook reinforced lower loop. Size: Length x Width 72'' x 24'' (182cm x 61cm) approx.